Made with the generous support of my friends and the wonderful and talented Heidy Wang. Mouse and 1,2,3 to navigate main menu. What is it? A Chinese trainer I built to keep my vocabulary sharp, and one that can potentially be expanded to include more words/categories. 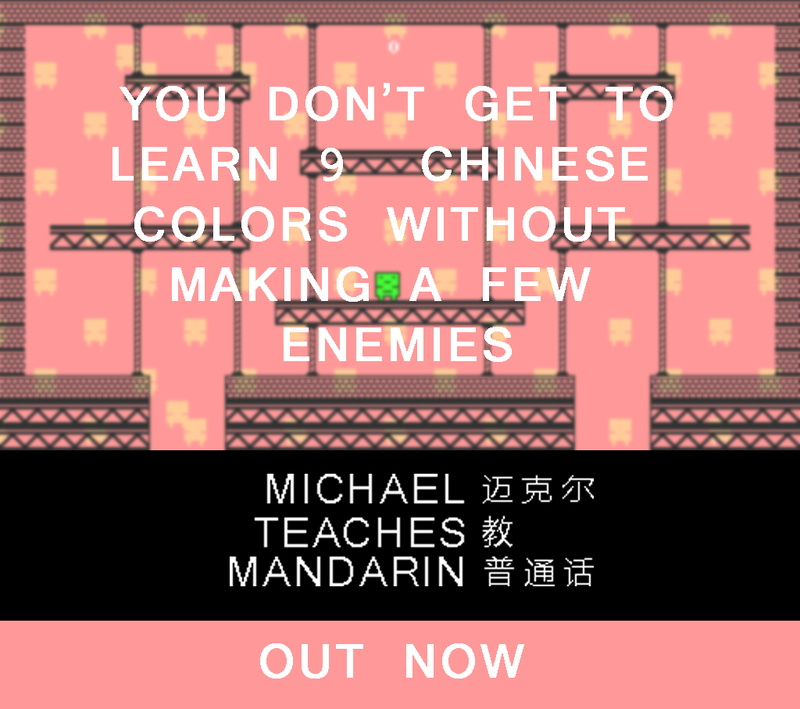 After twelve correct answers you can no longer rely on matching colors to get correct answers, the player is forced to memorize characters instead, therefore hopefully picking up some basic mandarin. 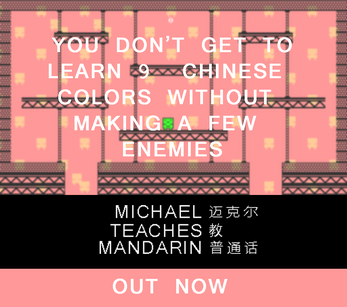 I'd like to note that the word list used in this game comes from worksheets from my Chinese teacher Heidy and I am by no means an expert, please take the information presented with a grain of salt knowing that I am not a native speaker. Game is great fun, but is too difficult for me as I never got past 7 words. It would be awesome if the idea could include themes other than colours.